12+ Seeds. 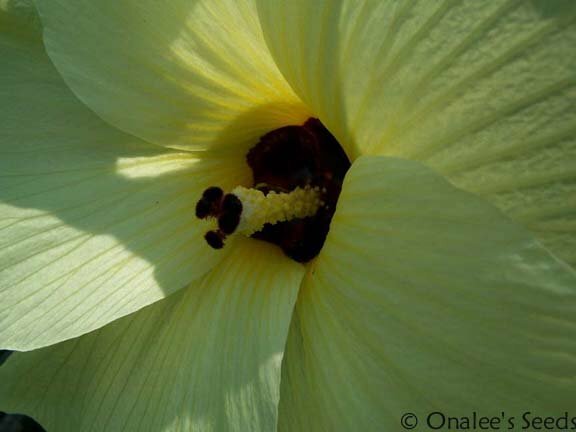 Sunset (Manihot) Hibiscus is a fast growing hibiscus that can be grown as an annual. Lovely pale yellow flowers with burgundy eyes cover these plants in the late summer. Perfect for a hedge or back of the flower bed! 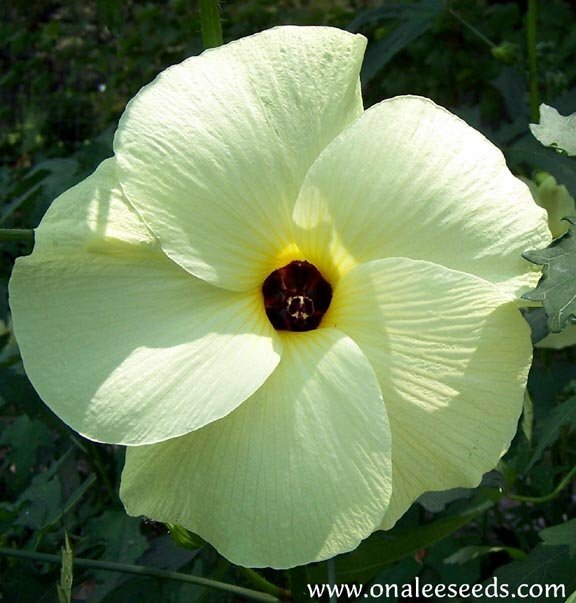 12+ FRESH Manihot Sunset Hibiscus (AKA: Edible hibiscus, sweet hibiscus, Palmate-Leaved Hibiscus) (Abelmoschus manihot) seeds PLUS planting instructions, including a color photo for seedling id. Recommended in Fine Gardening Magazine's February 2006 issue as one of their 'Unusual Annuals', this vigorous bush is a fast growing shrub perfect for mixed borders or as a great backdrop for shorter annuals and perennial beds. 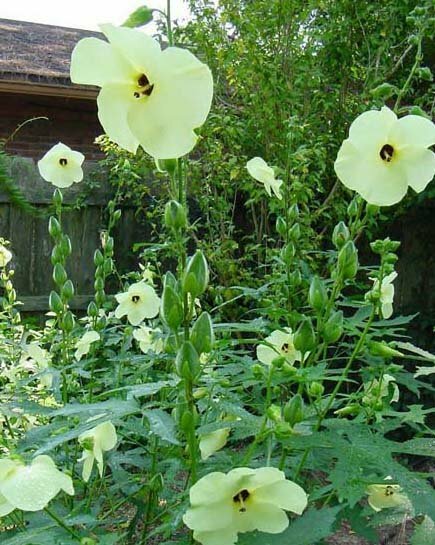 The 6-8 flowers are a luminescent, pale yellow with a deep burgundy center and go all the way up each stem of the plant. This plant will easily reach a height of 10? in one season and bloom the first year they are planted (blooms in about 75 days) and although each flower only lasts a short time, there is a continuous succession of blooms throughout the season. 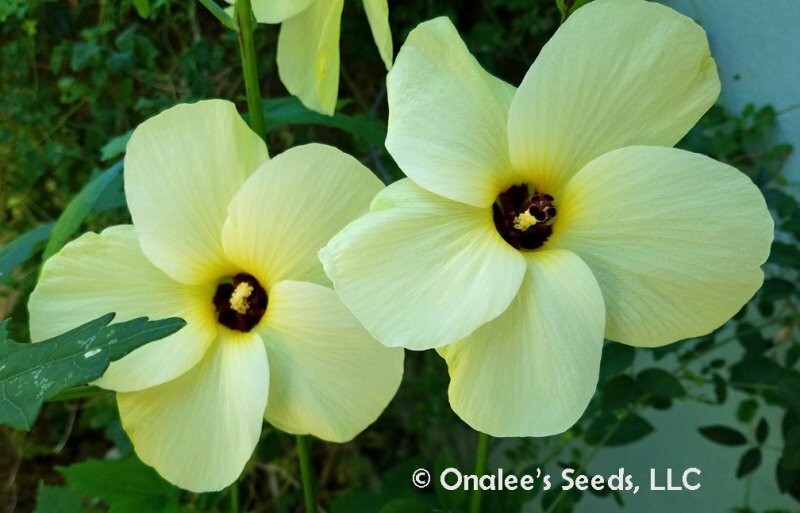 The flowers are followed by upright seedpods that resemble okra and are quite ornamental in autumn. These are a perennial in zones 10-11 a self-sowing annual in other zones. Prefer full sun and sandy soil (but will grow in part shade). EXCELLENT plant in drought conditions , will grow anywhere with very little care!